Here’s what the Supreme Court has been up to. But when I opened it, something was not right. 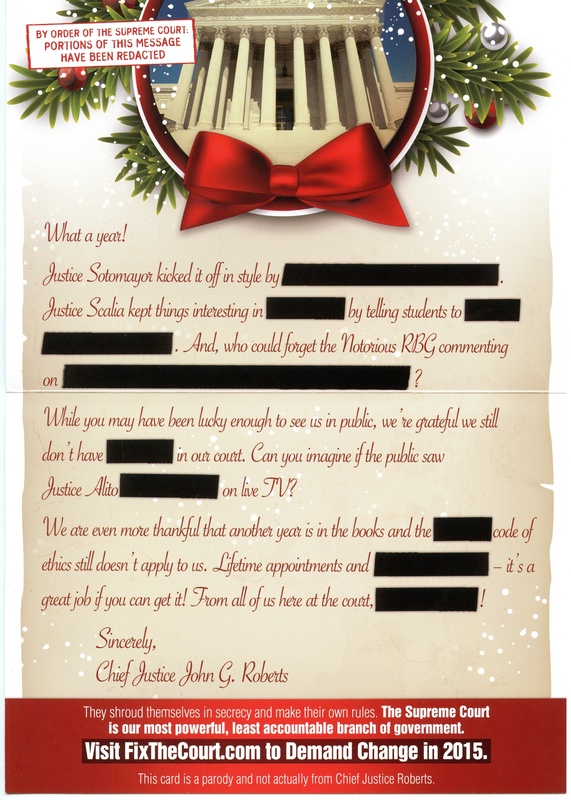 It appeared to be a holiday message from the chief justice, but several parts of it were redacted, with whole phrases covered by a thick black line. 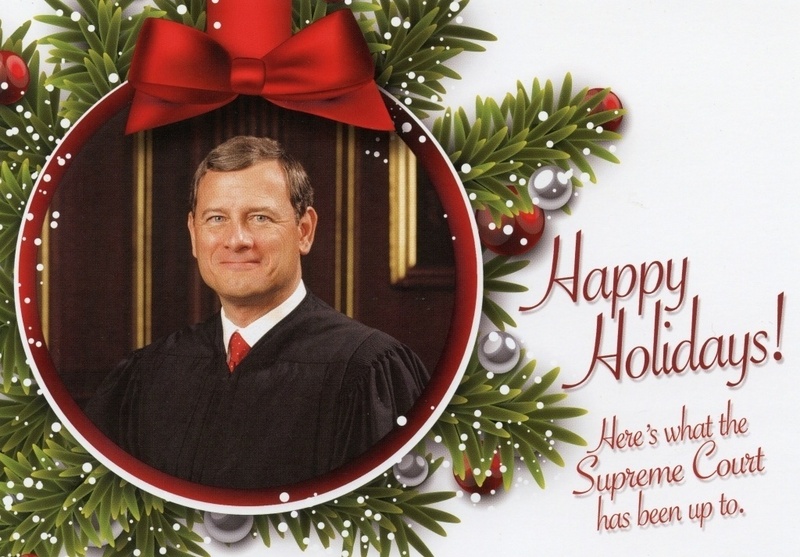 This card is a parody and not actually from Chief Justice Roberts. They shroud themselves in secrecy and make their own rules. The Supreme Court is our most powerful, least accountable branch of government. In actuality, the card is from FixTheCourt.com, an organization devoted to bringing greater transparency to the Supreme Court. It would like to see the court be more explicit about recusals, adopt a code of ethics, provide more detailed financial disclosures, and provide greater access to court proceedings. I’ll say this about it: It caught my attention. A clever, well-timed and executed campaign.